We all have that awkward person in our lives who is a nightmare to buy for. You want to buy them an amazing Christmas or birthday present, but you just can't think of a single thing to get for them. Perhaps they seem to have everything they want already, or maybe they just never ask for anything. 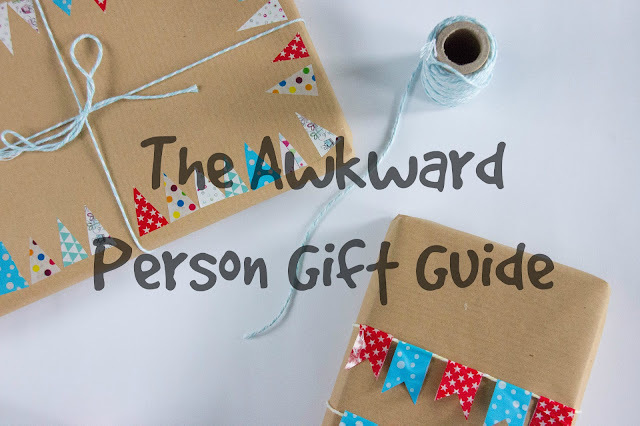 Today I'm going to offer up some suggestions for what to purchase for the awkward person in your life. This post isn't just intended to advise you, it's also being published today (on a Friday, not part of my usual posting schedule *gasp*) because the 19th of August is a special day for someone very close to me. This person's name is Charlene McElhinney. I met Charlene on Twitter at the very start of my blogging career and we have been friends ever since. She has been so kind, generous, and supportive, she is always a friendly face on Twitter, and she's one of the most inspiring women I know. 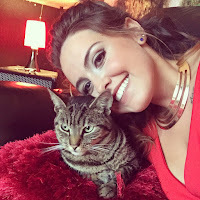 Today it's her birthday, so this birthday themed post is in honour of her! Please join me in saying Happy Birthday Charlene! Have an amazing day! Without further ado, onto the gift guide! Nothing says "I had no idea what to buy for you" than a gift card! But what about a gift card with a difference? For the person that has everything, why not give them a really feel-good present by making a charitable donation on their behalf? Oxfam, for example, offer a range of gift cards, allowing you to help feed a family, and provide safe water and other lifesaving supplies to those in need. This gift will make a big difference to people's lives, and you can even see your gift in action! These gift cards start at £5 so they suit any budget. This is a gift that keeps on giving! And yes, I totally stole the idea from Pinterest. The basic idea is that you fill a mason jar with pieces of paper which contain messages for the recipient of your gift. These could be memories of good times you've had together, or just kind words about how much you value them in your life. When they're feeling down, they can pull out a message from their happy jar and it will bring a smile to their face. This is a really thoughtful gift which I know that I would love to receive! These can be a lot of fun, and they're an inexpensive gift for you too! You can find templates such as this online and make your own coupons, which can entitle the recipient to anything from a foot massage to a cake baked by you! They can then choose when to redeem the coupons. For your Mum you could choose to make some coupons for household tasks like hoovering or dusting, or for your partner you could make them a bit more... naughty! *wink wink* The possiblities are endless! I make these for my friends all the time! I buy wicker baskets from Amazon and fill them with lots of small items. For a friend who needs to find time to relax, I would create a 'Spa Day' basket. This would include a candle, some bubble bath or a LUSH bath bomb, some sachets of cammomile tea, and some moisturiser. You might also like to create a baker's basket for someone who's into cookery. This might include a small recipe book, some bun cases, sprinkles for the top of cakes, and a wooden spoon, for example. The baskets can be as big or as small as you like, as your budget allows. It's always an exciting feeling when a piece of mail addressed to you drops through your letterbox. Why not give the recipient of your gift this feeling all year round with a subscription box? For someone who loves food, Hotel Chocolat offer a monthly chocolate tasting subscription box, Lootcrate is another option for the nerd in your life, and if you're buying for a beauty lover (or another blogger!) Birchbox is a great choice. There are many more out there, just have a Google! I hope that this post has given you some inspiration, if you have any bright gift ideas that you'd like to suggest, please comment below as I'd love to hear them! Please head over to Charlene's Twitter and wish her a happy birthday!